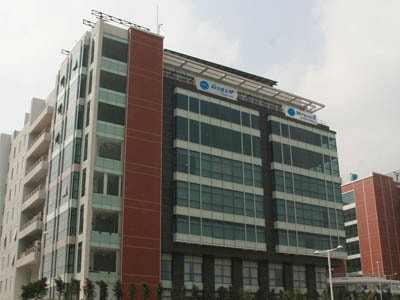 Indian IT services and solutions provider Mphasis has opened a Centre of Excellence (CoE) for Blockchain-based solutions at its Bangalore headquarters. The lab will conduct research, rapid prototyping, co-creation of use cases, and IP creation on blockchain technology and platforms, says the company. The Blockchain CoE will initially develop solutions for the Mortgage, Insurance and Payment industries on private blockchain. Mphasis’ blockchain framework collates applications, data and routing layer, and enablers to interface with public blockchains. Its data and routing layer, the core of this framework, can enable companies to organize and publish millions of cryptographic proofs on blockchains, says Mphasis. The private blockchain is scalable to store millions of auditable, quickly traceable records on shared ledgers. Mphasis private blockchain connects to the bitcoin network, which makes the model immensely scalable. The blockchain also interfaces with multiple external data service providers to orchestrate multi entity workflows. The Mphasis Centre of Excellence for Blockchain technologies will be headed by Nitin Narkhede, vice president and head of Service Innovation.